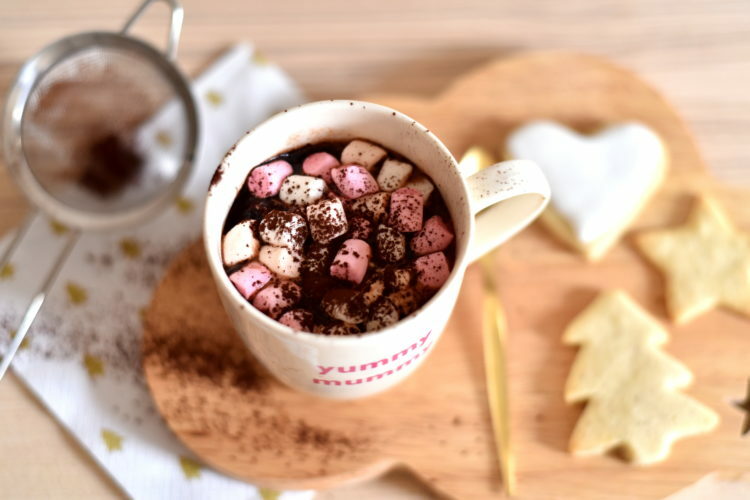 Pour into a saucepan, milk, cream and chocolate cut in pieces. Heat the whole on soft fire and let simmer for 15 minutes while stirring from time to time. 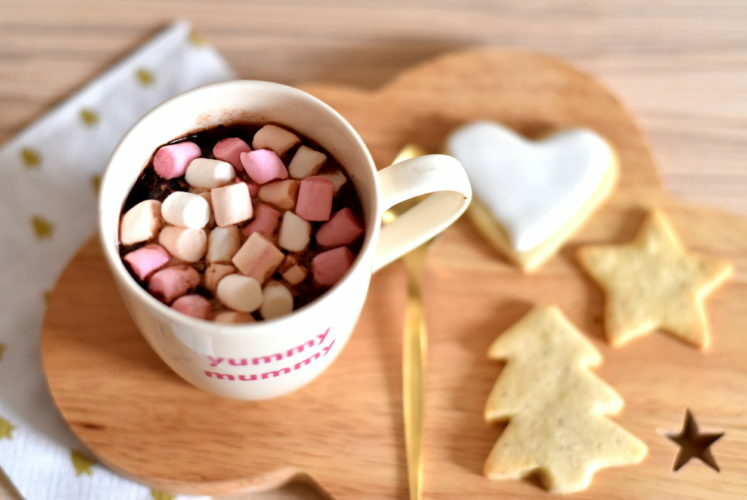 Pour in your cups (you can filter the hot chocolate with a small strainer to remove the deposits from milk and cream) and display on the top your marshmallows – and a little bit of cocoa. Enjoy while it’s hot!